This very elegant pendant comprises four round brilliant cut diamonds each set into 18ct mille-grained rubover articulated tube settings. The diamonds are of different sizes graduating form the smallest at the top to the largest at the bottom. 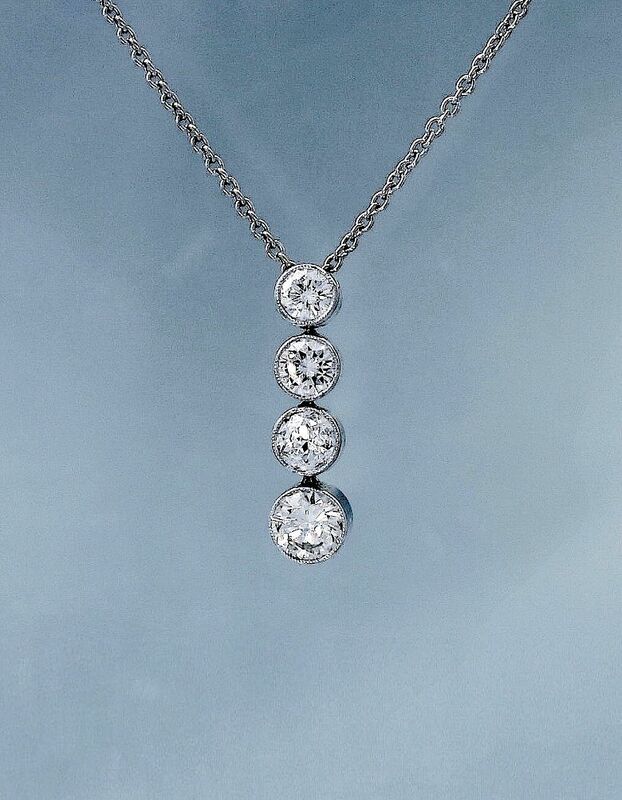 An 18ct white gold chain runs through the top of the tube setting of the top diamond allowing the free movement of the pendant. A lovely rippling cascade!